Wouldn’t it be nice to seamlessly enjoy charging your GCE Zen-O portable oxygen concentrator while watching T.V., reading a book, or laying in bed, no matter the flow setting? And with the GCE Zen-O AC power supply that is exactly what you can do! Featuring a 110V power cord, you are able to use the AC power supply to charge your Zen-O through any of your home’s/hotel’s standard wall outlets, both in the US and internationally. You won’t ever have to sacrifice receiving your oxygen therapy in exchange for charging your Zen-O batteries. When you are using the Zen-O AC power supply, you have the ability to charge your Zen-O batteries while simultaneously receiving your prescribed flow of oxygen therapy. Whether you are using 1 or 2 batteries, the AC power supply will seamlessly charge the batteries without interrupting your flow of oxygen therapy. 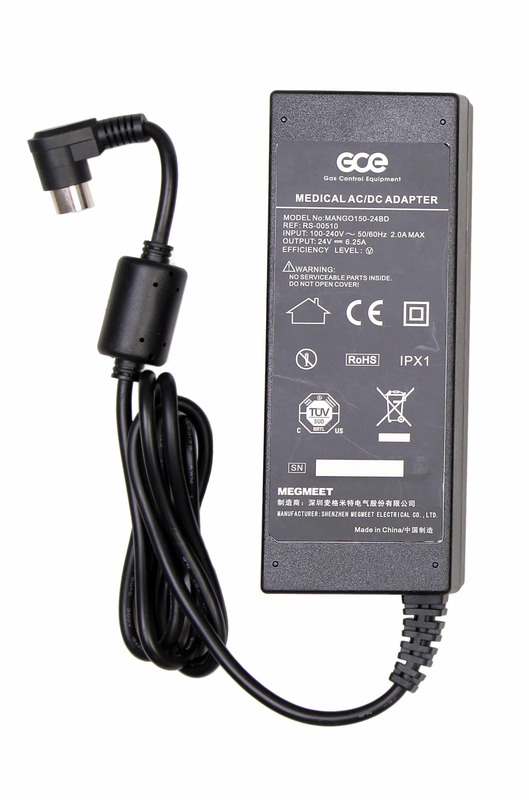 What’s more, is you will also be able to use the AC power supply if you ever travel overseas. As the power outlets are different than those in the US, the AC power supply is compatible with international power outlets.